If you answered YES to any of the above questions, then let me explain to you what Beachbody Coaching means and you and decide if this business is right for you or not. Please don't hesitate to contact me with any questions! If you haven't heard of Beachbody before, they're the company that created programs like Insanity, P90X, T25, Turbo Fire, Chalean Extreme, Body Beast, Shakeology, and many more. They have Independent Team Beachbody Coaches to help their customers get the most out of their programs, which is what I do. 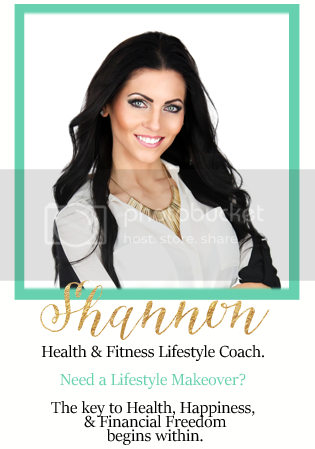 I run Online Health and Fitness Support Groups to motivate and hold my customers accountable. I teach them about Clean Eating and how to make a LIFESTYLE change. As a coach, when people sign up, you direct them to your own Beachbody website. You make commissions from sales off of your site and you make team bonuses if you choose to build a team. You don't have to keep any inventory, deal with customer service, or worry about shipping. Beachbody does all of that for you! It's great if you're looking to make extra money or even enough to quit your full time job. If you're interested in Coaching long term, you can make 6 figures within a couple of years, which you do by building a team of coaches. Once you start building a team, in addition to commission, you get what's called Team Bonuses, which can pay up to several thousands per week. Coaching is not only tons of fun, but it's incredibly rewarding! What is the ONE qualification you need to become a Coach? You absolutely have to be passionate about helping others! Period. 1. You can sign up by purchasing a Challenge Pack, which will WAIVE your Coach sign up fee and your first month's maintenance fee of $15.95. If you don't currently have a Beachbody Fitness Program or Shakeology, you would want to go this route. In order to be successful as a coach, it's important that you are also a product of the product! How can you recommend their products when you're not using them yourself? 2. You can sign up by paying the $39.95 Coach Enrollment Fee to join and get your business kit, if you do not want to get a Challenge Pack. Then starting your second month, you will be charged just $15.95/month for Beachbody to maintain your website. 3. If you or your spouse is an active member of the Military, your Coach Enrollment Fee is WAIVED as well as your $15.95 monthly maintenance fee for your websites. So you can literally become a coach for FREE! Just ask me how!